Staying motivated is a lot like fuel in a car—you don’t need the motivation tank to be full to drive, you just need to prevent it from running empty, says Joshua C. Klapow, Ph.D., a clinical psychologist at the University of Alabama and author of Living SMART: 5 Essential Skills to Change Your Health Habits Forever. The trick? Put a little motivation in the tank when you’re running close to empty. 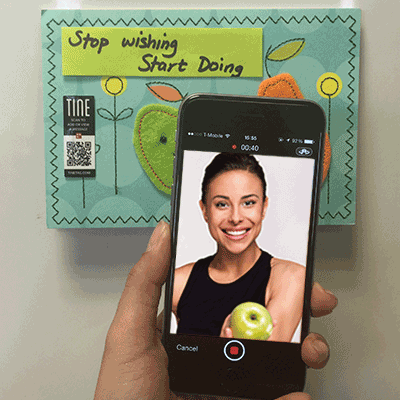 We’ve found a little app called TINE that lets you leave motivational video messages around the house for yourself. Put one in the pantry, put one on the fridge and the next time you feel like reaching for something you probably shouldn’t be snacking on just scan a tag first. You’ll be amazed at how great of a coach you can be for yourself. 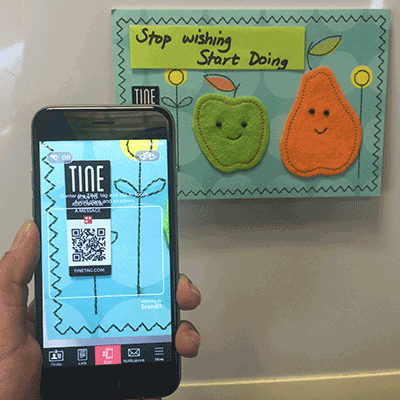 When you scan the TINE tag, your motivational message will automatically play. 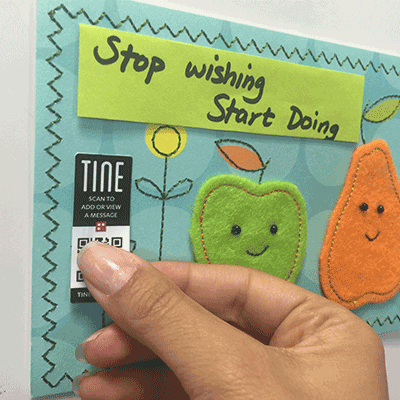 Use TINE to leave motivational messages wherever you feel like you need a little support. If you need some additional help, get a friend to record the tags. This way not only will you have a friendly face helping you out, but the app will also notify them, which may help you stay on top of your cravings. TINE has been getting quite a bit of press lately, so we suggest downloading the app and ordering tags before they set up a waitlist.